In advance of and following today’s historic policy announcement by President Donald J. Trump, Democrats have been endlessly parroting the same tired talking points about the recognition of Jerusalem as Israel’s Capital (it’s not Haifa) and the planned Embassy relocation to its rightful situs in Israel’s capital. The charade of weak objections range from the announcement’s impact on the regional stability (that’s right, the entire “otherwise stable” Gulf and Middle East areas) to concerns about an unprecedented wave of violence by Arab fighters who call themselves Palestinians, as if they have not been engaging in real or attempted acts of terror for decades, to the death of the Israeli-Palestinian peace process (because of all the progress that has occurred to date…not). Time will prove that while there may be a short-term uptick in some violence, for which the IDF, Israeli police and Mossad are prepared, not only will today’s moves not have any negative impact with regard to the areas previously mentioned, but rather may actually accelerate the pace of negotiations now that this “monkey is off Israel’s back”. As for impact on the region, there is zero evidence to suggest that proper recognition of Jerusalem as Israel’s capital and an ensuing embassy relocation has anything to do with anything. This is somewhat hard to believe, given that many prominent Democrat legislators including (now) Senators Dianne Feinstein and Joe Biden, as well as Rep. Nancy Pelosi, voted for the 1995 Jerusalem Embassy Act that is the legal basis for the Embassy’s relocation. In addition, check out the numerous affirmations of Jerusalem’s status made y so many of them who are now speaking a different language. 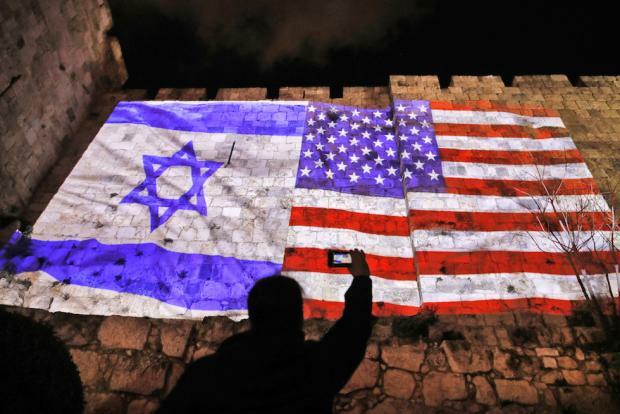 These are very troubled times, and though DJT’s pronouncement was welcome, there was never any doubt that Jerusalem was Israel’s rightful capital.